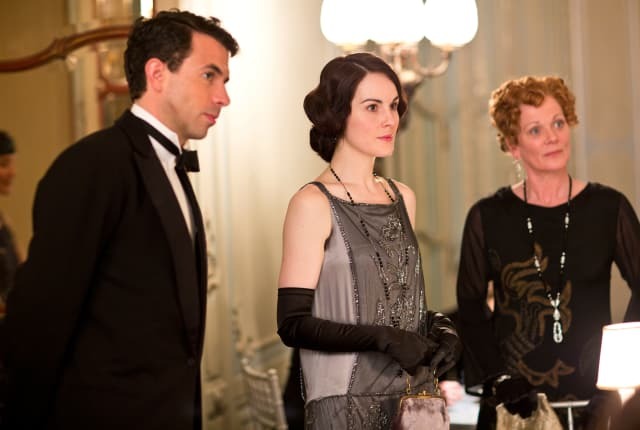 Watch Downton Abbey Season 4 Episode 3 online via TV Fanatic with over 6 options to watch the Downton Abbey S4E3 full episode. Affiliates with free and paid streaming include Amazon, iTunes, Vudu, Google Play, Amazon Prime, and Verizon On Demand. Anna keeps a terrible secret and Mary, Tom, Rose and Edith head to London. Papa, you're always saying how we're not the owners of Downton, but the caretakers. Very well, now let's take care of it. I'll never love again as I love you in this moment, and I must have something to remember. Permalink: I'll never love again as I love you in this moment, and I must have something to remember.